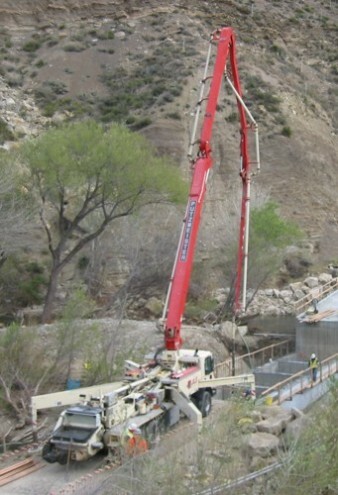 This project involved complete replacement of two new bridges spanning Piru and Osito Creeks and the analysis of seismic retrofits to the bridge that that provides the primary access to Pyramid Dam. In support of Department of Water Aspen completed all required CEQA documentation, prepared and processed federal and State environmental permitting, and conducted biological surveys for rare plants, fish, listed amphibians and migratory birds. Aspen prepared an Initial Study and Mitigated Negative Declaration for compliance with CEQA and prepared and submitted applications to obtain a Clean Water Act Section 401 Water Quality Certification, Section 404 Standard Permit (included preparation of an Environmental Assessment and a Habitat Mitigation and Monitoring Plan), and a Section 1602 Streambed Alteration Agreement. Aspen prepared a joint Biological Assessment and Biological Evaluation for the Angeles National Forest in support of Section 7 compliance and to comply with requirements when working on Forest Service lands. . Prior to construction Aspen reviewed the construction contractor’s Storm Water Pollution Prevention Plan for adequacy and prepared and submitted a Notice of Intent and appropriate fee to the State Water Resources Control Board to use their Clean Water Act Section 402 General Permit for Storm Water Discharges Associated with Construction Activity. In support of construction Aspen conducted sensitive plant and wildlife surveys, prepared a stream Diversion Plan and Tree Assessment Plan, conducted water quality monitoring, construction monitoring, and implemented erosion control measures. Post construction Aspen, implemented the revegetation/restoration plan for the site.